21st Century Fox Inc.’s entertainment assets helped push earnings past Wall Street estimates last quarter, validating a plan by Walt Disney Co. to acquire the business. 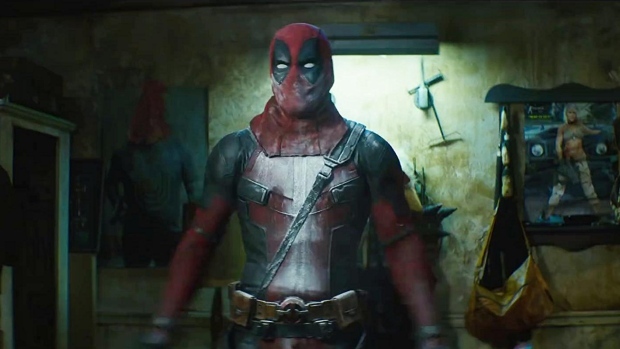 Movies like “Deadpool 2” and cable-network subscriber fees contributed to earnings of 57 cents a share in the fiscal fourth quarter, excluding some items. Analysts estimated 54 cents a share on average for the company, which is controlled by billionaire Rupert Murdoch. What’s good for Fox is mostly good for Disney, since it’s preparing to acquire the bulk of the media company’s operations. Fox shareholders approved a US$71 billion deal last month to sell off 20th Century Fox studio and cable channels such as FX and National Geographic. The remaining parts of the companies will be used to create “ New Fox,” which will retain the Fox network, Fox News and other assets. Revenue rose 18 per cent to US$7.94 billion last quarter, topping the US$7.55 billion estimated by analysts. Still, with the Disney deal looming, investors aren’t trading as much on Fox’s results. The shares were little changed after hours, trading around US$45.58 at 4:10 p.m. in New York. The biggest lingering question is how New Fox will fare. In addition to the main Fox network and Fox News, sports channel FS1 and other properties would be spun off into a separate publicly held business. Senior Fox executives such as Peter Rice, meanwhile, are expected to move to Disney. Earnings for cable-network programming grew 12 per cent to US$1.61 billion in the fourth quarter, which ended June 30. Filmed entertainment posted a profit of US$289 million, compared with a loss of US$22 million a year earlier. The success of the “Deadpool” sequel helped fuel the movie business’s turnaround, with the superhero film generating move than US$730 million in worldwide box-office sales. International cable revenue increased, with affiliate sales up 12 per cent and advertising posting a 55 per cent gain -- helped by the Indian Premier League championship.